Cost: $34.75-$69.75. Tickets available through TicketsWest. 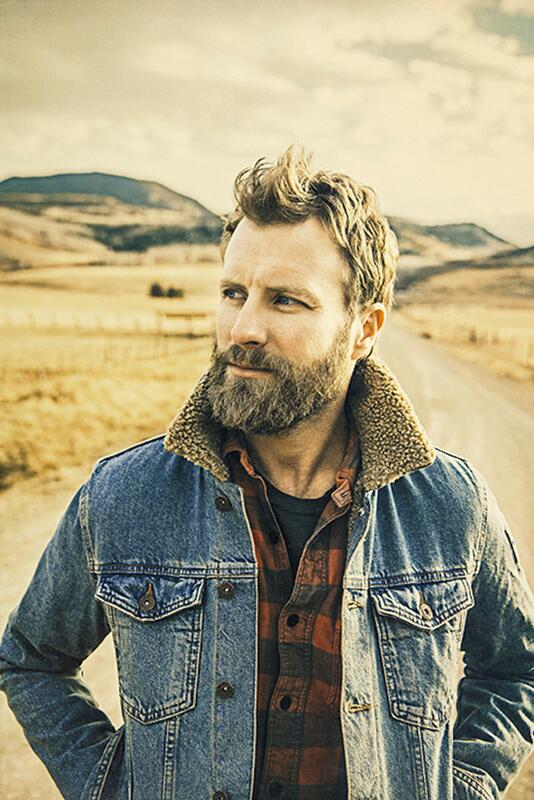 The nearly two-minute-long clip opens with an image of the back of country singer Dierks Bentley’s head. Wearing a black hooded sweatshirt under a green jacket, nothing seems amiss. But when the camera begins to pull back, we see that Bentley is standing in the middle of an ice rink. He then spins around, whips off his jacket and triumphantly shows off his ice skating outfit, complete with lace, feathers and rhinestones. “But nothing can prepare you for the ‘Burning Man’ tour on ice,” the voiceover says. Bentley then spends the rest of the clip executing his best twirls and dance steps (he shoots a lot of finger guns) before being joined by tourmates Tenille Townes and Jon Pardi, who show off a few tricks of their own. At the end of the video, the dates for the “Burning Man” tour scroll across the screen. Bentley can’t exactly remember how the idea for a “Blades of Glory”-inspired tour announcement video came to be, but these comedic videos have become par for the course over the past few years. When announcing 2018’s “Mountain High” tour, for instance, Bentley released a video in which he plays a sort of mountain shaman who creates a special potion that causes tourmates Brothers Osborne and Lanco to have a trippy night in the woods. The “Burning Man” tour brings Bentley, Townes and Pardi, plus Hot Country Knights, to the Spokane Arena on Thursday. Humor is an important element in Bentley’s shows. But when it came to his latest album “The Mountain,” which was released in June, Bentley switched gears slightly and decided to forego including a major party song on the album, simply because that’s not what “The Mountain” was asking for. Bentley recorded the album in Telluride, Colorado, a favorite locale of his since he went to the Telluride Bluegrass Festival for the first time in 1997. After playing the festival in 2017, he was reminded by how inspiring the landscape was and decided to record his next album there. He and five of his Nashville-based collaborators holed up in a house together, “like we were college kids,” and listened to what the mountains had to tell them. “After two years of being on the road and seeing a lot of parking lots and lots of planes and buses, to be in one spot that’s so inspiring, this place has a hold on me,” Bentley said. Telluride is also to thank for one of the collaborations on “The Mountain,” “Travelin’ Light” featuring Washington native Brandi Carlile. Bentley had seen Carlile’s Telluride Bluegrass Festival set in 2017 and later heard a song of hers on the radio while driving around Nashville. He felt there was a reason he was hearing her voice again and decided to see if she was interested in joining him on “Travelin’ Light,” a song about letting go of the emotional baggage you’ve been carrying around. “They’re all favorites, but that has a special place in my heart,” Bentley said about the song. The other collaboration, “Burning Man,” found Bentley reuniting with his “Mountain High” tourmates John and T.J. Osborne. He originally didn’t want to turn “Burning Man” into a duet, but every time he listened to it, he couldn’t help but hear the duo on the song. Bentley sent the pair the song, and they texted him almost immediately that they wanted to be part of it. Two days later, the trio was in the studio together. “(They’re) both meant-to-be-type collaborations and play big roles on the record,” Bentley said. Bentley could see himself hosting other location-based writing retreat for future records because they force him to be present and focus his energy on writing. For the time being, his thoughts are back on the ice. He’s recently done some curling in between dates on his Canadian tour and is hoping to stop by a curling facility in Spokane. He doesn’t rule out the possibility of curling appearing in his next tour announcement video, but he might be more careful on the ice this time around. Published: Jan. 24, 2019, 5:19 p.m.